This is our family's favourite Christmas dish, both in terms of eating and in making it together as a family. 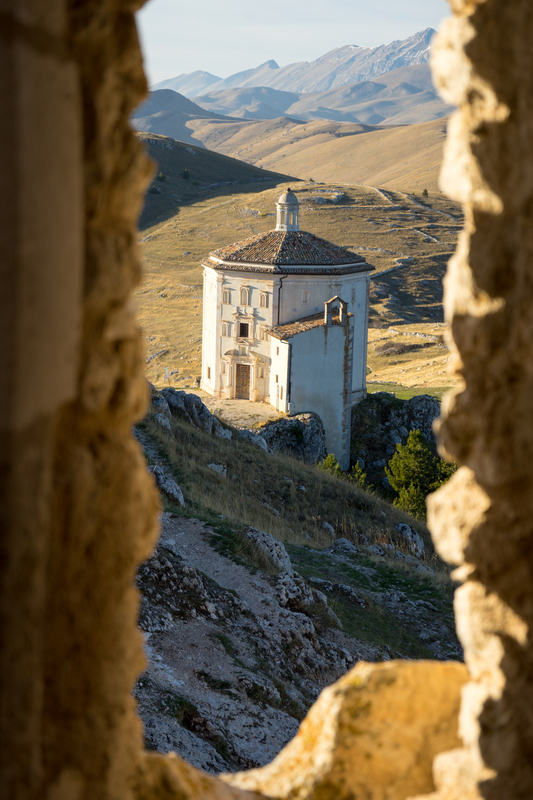 First the hot broth washes over your tongue followed with a bite into the silky pasta which explodes with flavours of the salty prosciutto, the juicy veal and the crystalline Parmigiano-Reggiano cheese. 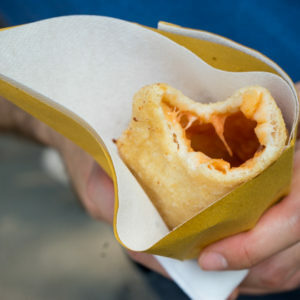 Each bite is a perfect mouthful. 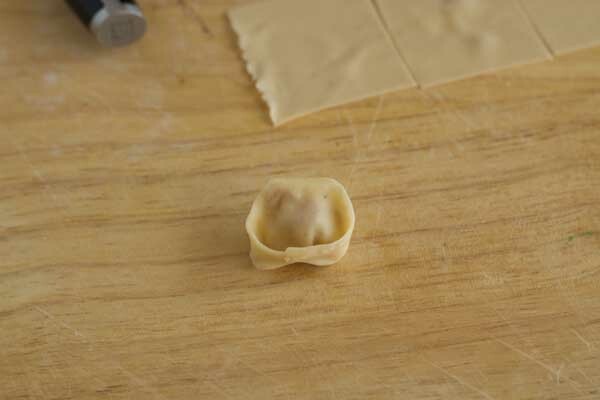 When I make cappelletti, I make a lot of them so that I can freeze some for future use. To freeze them, place them on a floured tray (that fits in your freezer), cover it with cling film and place in the freezer. Once they are frozen, pop them into a labeled Ziploc bag. Use within 6 months. In a small sauté pan, heat the butter over medium heat. 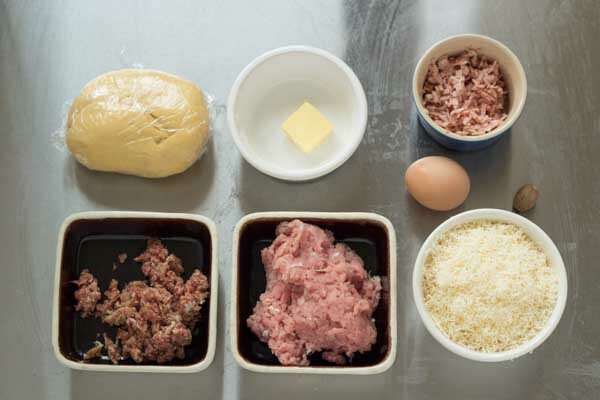 When the butter has melted, add the meat mixture and turn the heat to low. 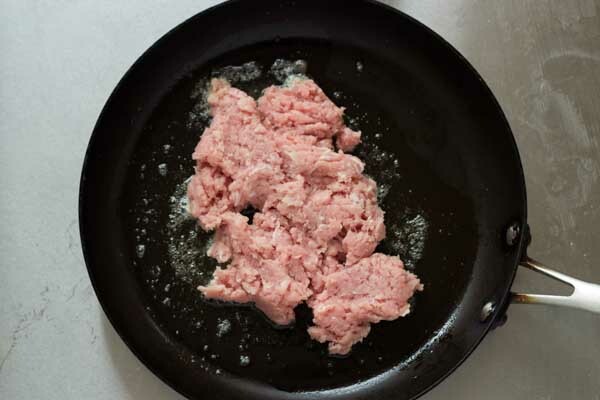 Cook until the meat is cooked through but do not let it dry out (about 3 minutes each side). Remove it from the pan and let it cool. Reserve the cooking liquid in a small bowl. 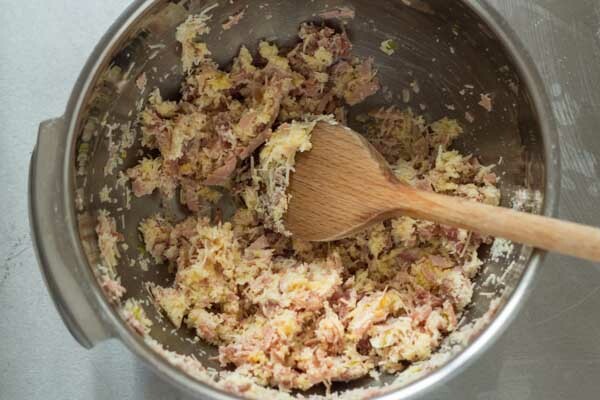 In a medium sized bowl, mix together the cooled meat, egg, nutmeg, prosciutto, mortadella, bone marrow, and Parmigiano-Reggiano cheese. Cover the mixture with cling film and refrigerate for at least an hour. 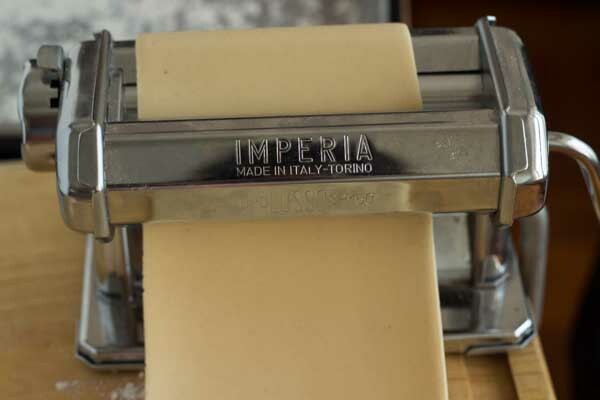 Roll your pasta to the last (thinnest) setting on your pasta machine. Cut the pasta sheets in half if they are getting too long. 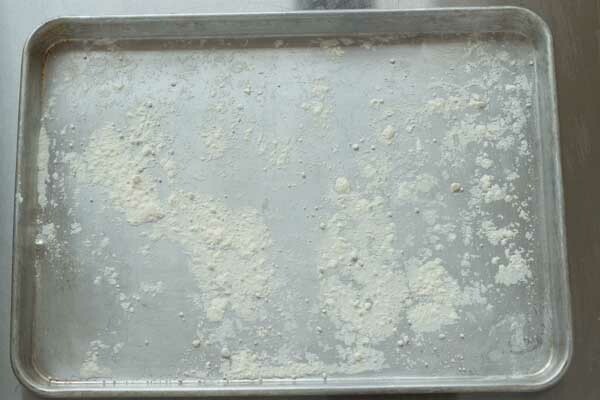 Flour your work surface lightly and keep the pasta you are not currently working with on the floured surface. Cover the pasta with a damp towel to keep it moist. 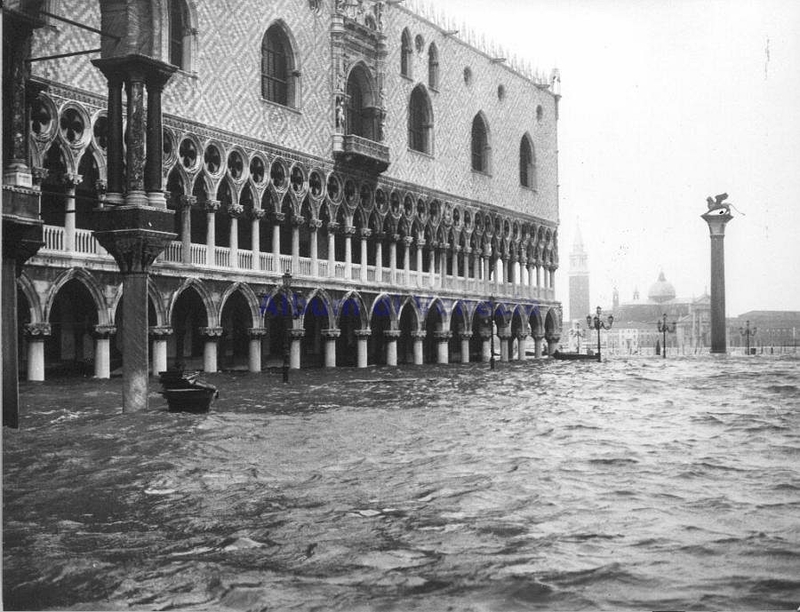 Have another damp tea towel ready. For this part it is best to enlist the help and companionship of friends and family. This will transform the process from work to fun. 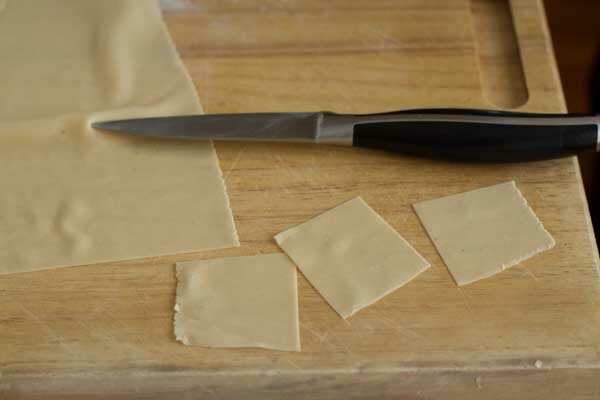 Take one sheet of pasta and using a paring knife or pasta cutter cut it into 3-5 cm squares. 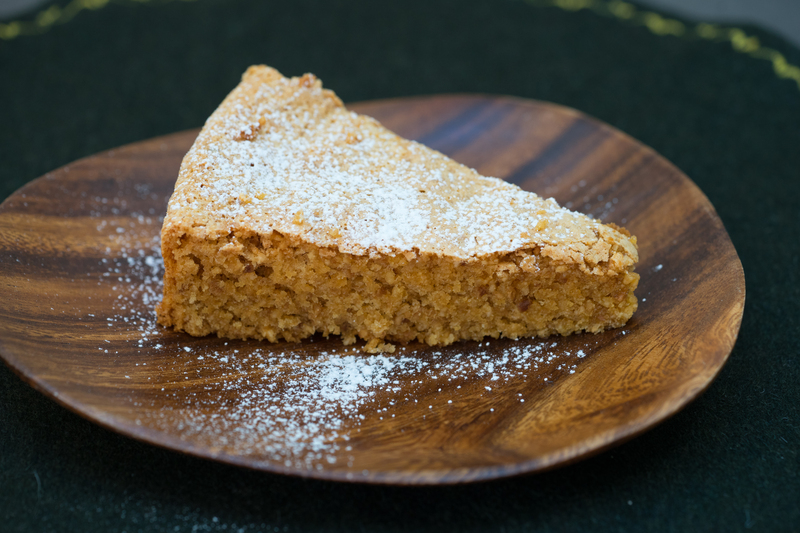 Take a ¼ teaspoon of filling and place in the centre of a square. 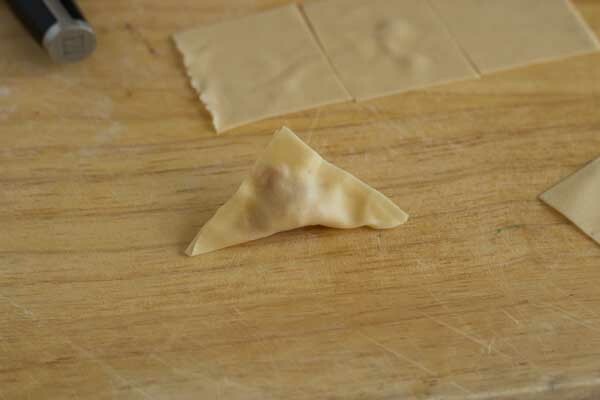 Fold the pasta over so that the corners meet and form a triangle. Pinch the edges shut pressing out any air inside. 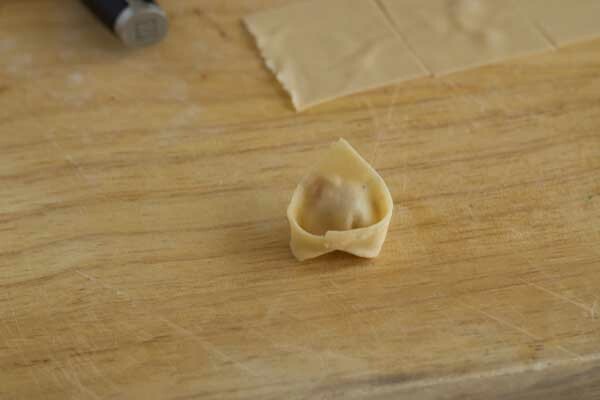 Sit the filled pasta up with the center corner up and bring the two bottom corners together. Fold the top corner back slightly. 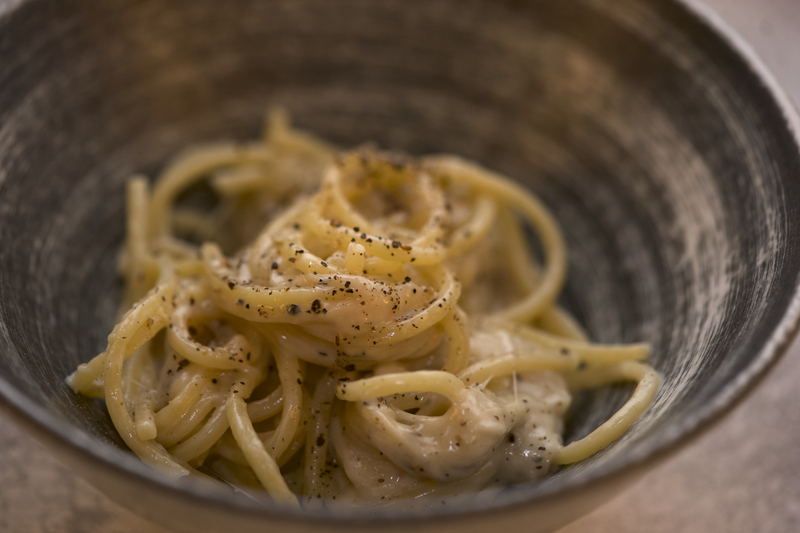 If your pasta is not closing well as it is too dry, dip your finger into the reserved meat cooking liquid and moisten the edges to close. 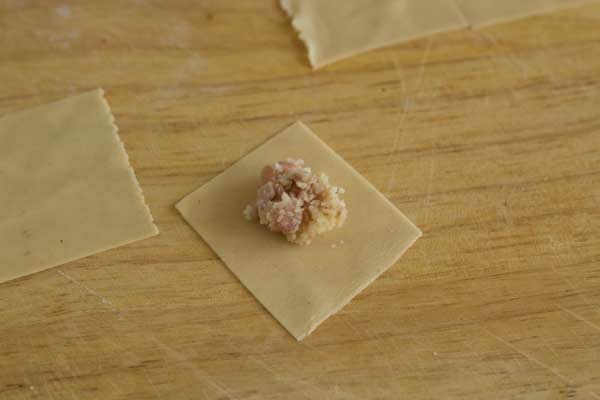 Place finished cappelletti on the floured baking sheet and cover with the damp tea towel. Bring the meat broth to a simmer. In a separate sauce pan, bring 4 litres of water to a boil over medium heat with 40 grams of salt. 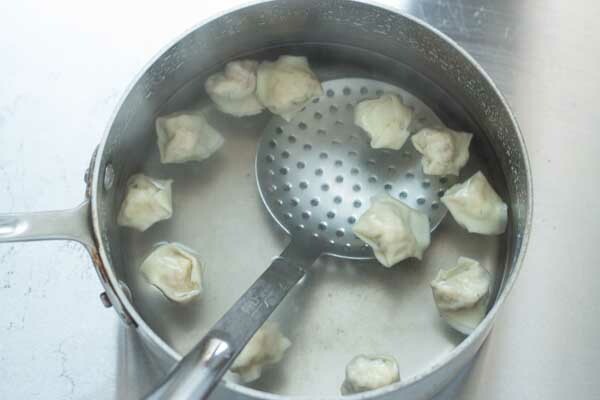 Add 30 cappelletti to the water and turn the heat to low, do not let the water boil. You can add some cold water to the pan to prevent this. You will need to cook the cappelletti in batches. When the cappelletti float (1 minute after the water comes close to boiling), remove with a slotted spoon to the serving bowls. Ladle the meat broth into the bowls. Sprinkle Parmigiano-reggiano cheese over top and serve.